m0851 is a Montreal based company that specializes in high quality leather, wool and cashmere products. They make bags, outerwear and accessories. 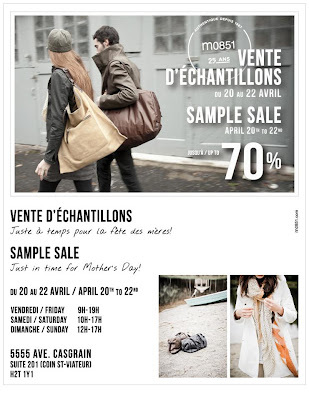 The sample sale starts tomorrow and goes on until 5PM on Sunday. 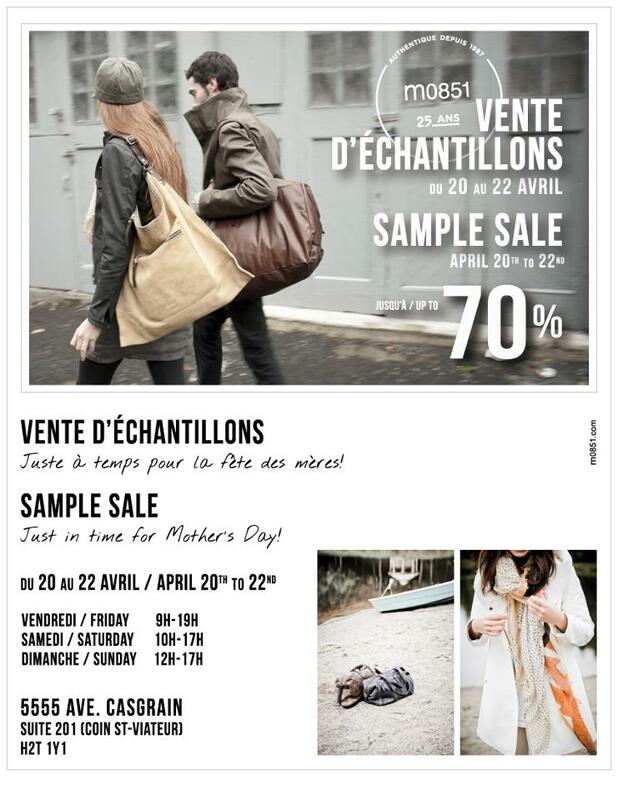 You can find it at 5555 Ave. Casgrain, suite 201 (corner of St. Viateur) See more details HERE.